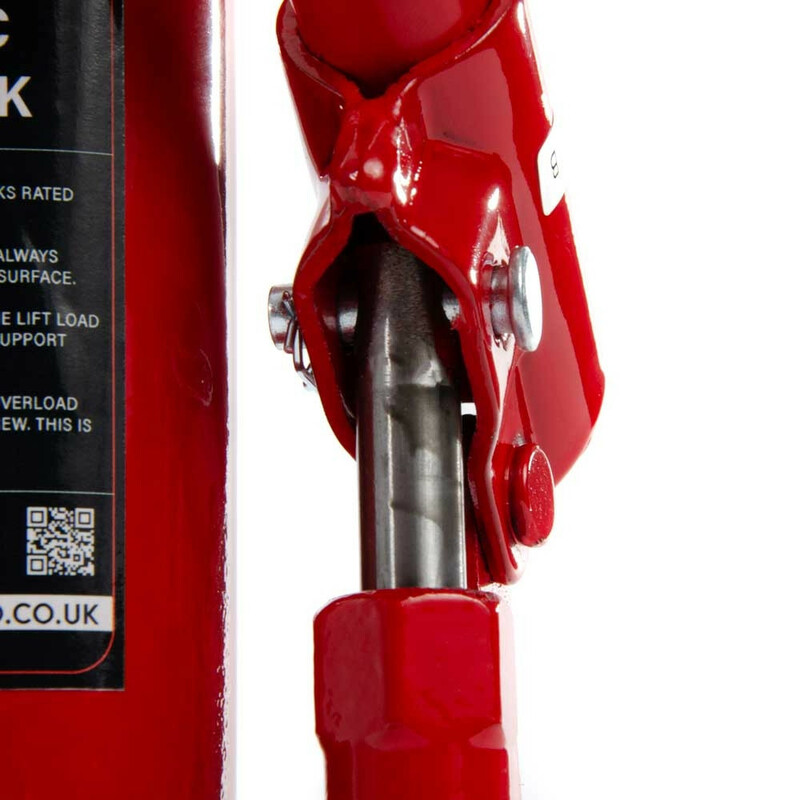 After all the hard work so far, the designers said they were hitting the bottle – but not the kind we thought! 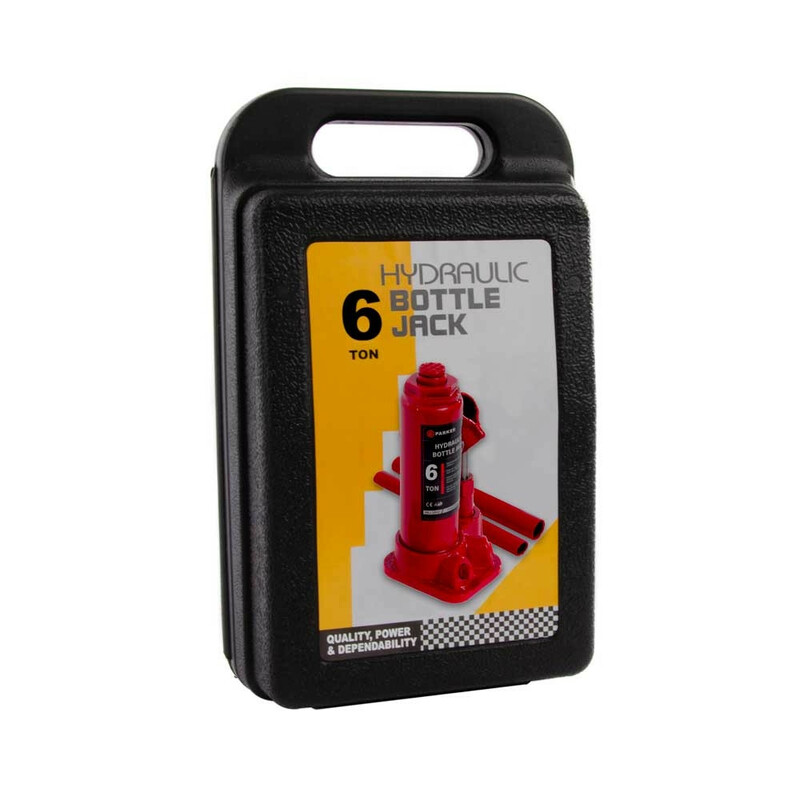 This ParkerBrand hydraulic bottle jack has leapt off the page into real life and it’s compact, portable and fully fashioned from high grade steel. These ParkerBrand bottle jacks are a brilliant solution to lifting some serious weights. 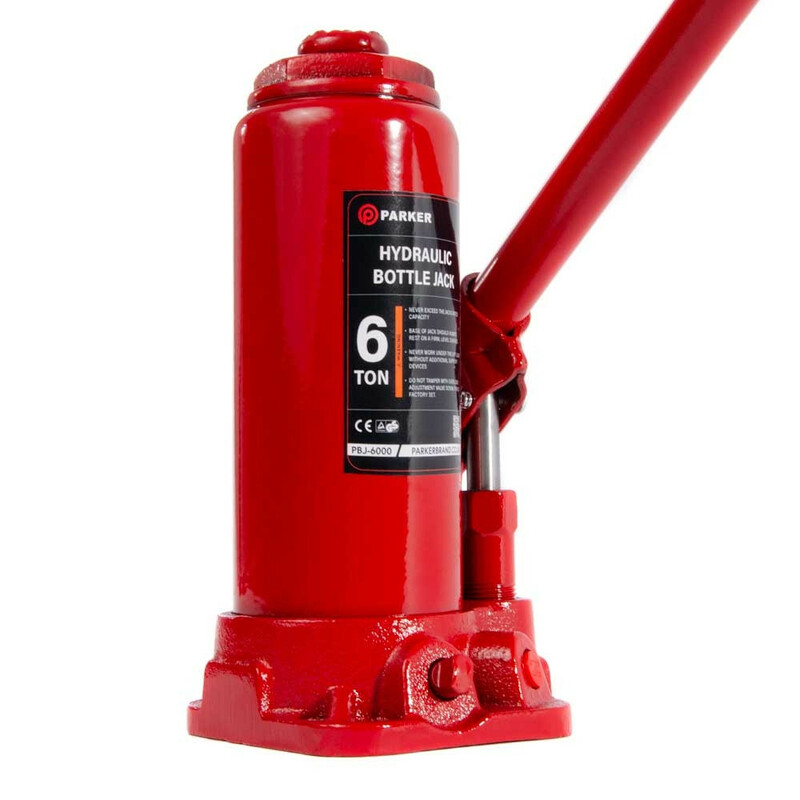 These bottle jacks come in a two, four and six-ton option. 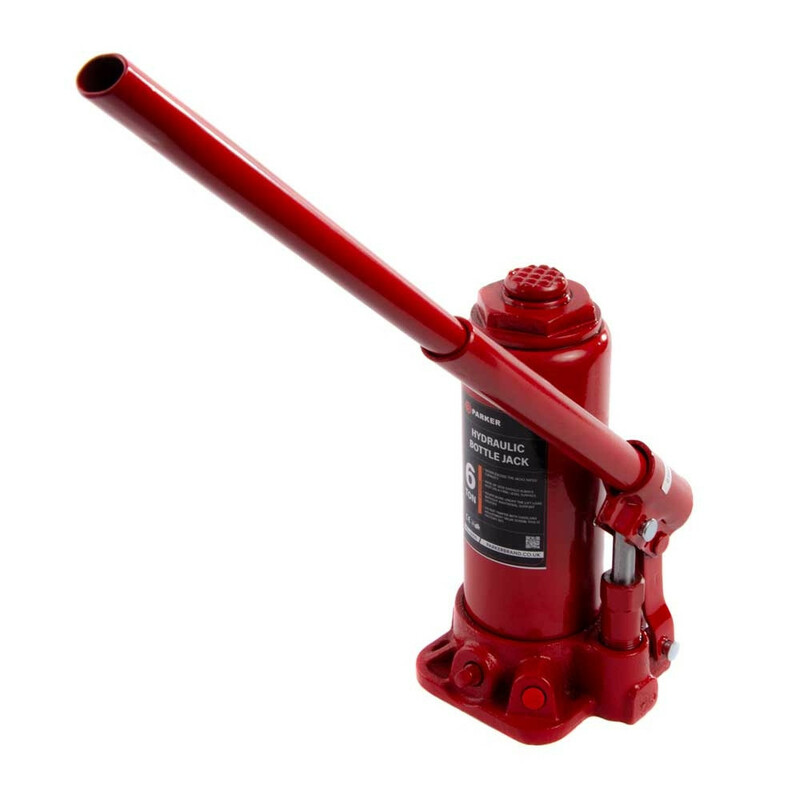 You’ve got Hercules at your disposal at any time. 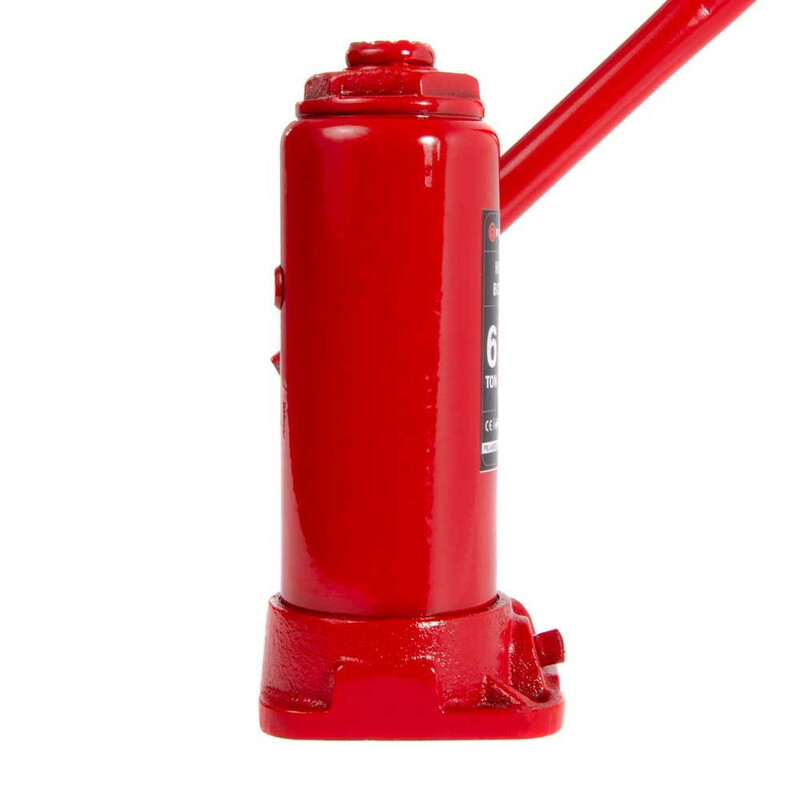 Remember these are for LIFTING and are not meant to sustain the load while you work. 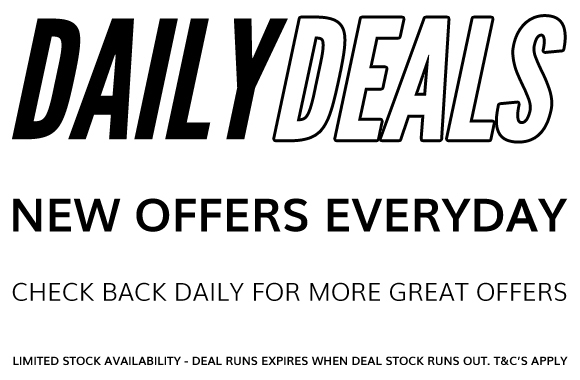 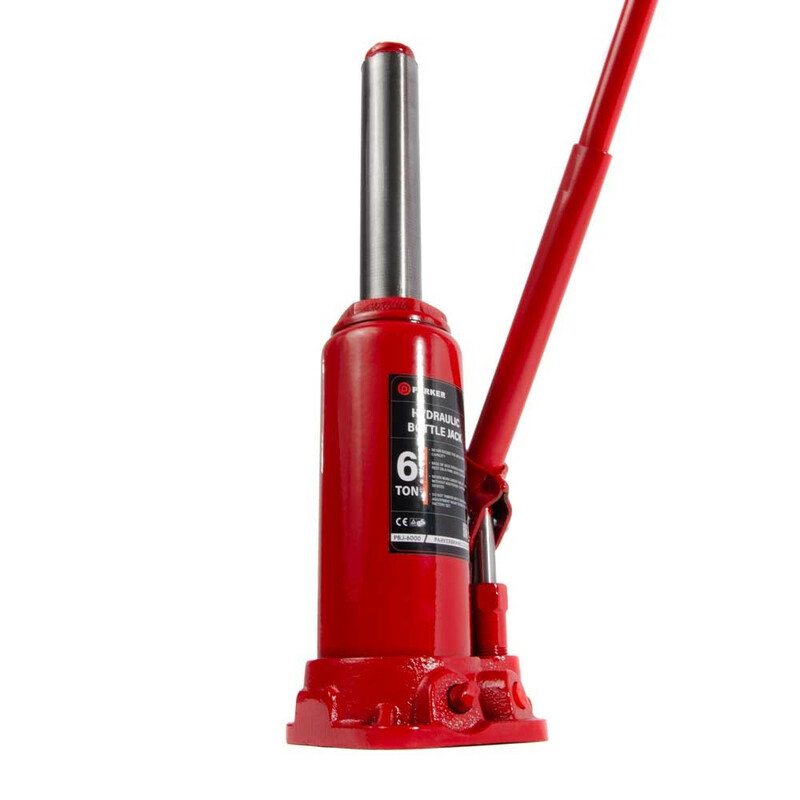 We’ve got that covered though – you can always use your PJS-2000, PJS-400 or PJS-600 Axel Stand also available from ParkerBrand. Like gin meeting tonic – the perfect combination. 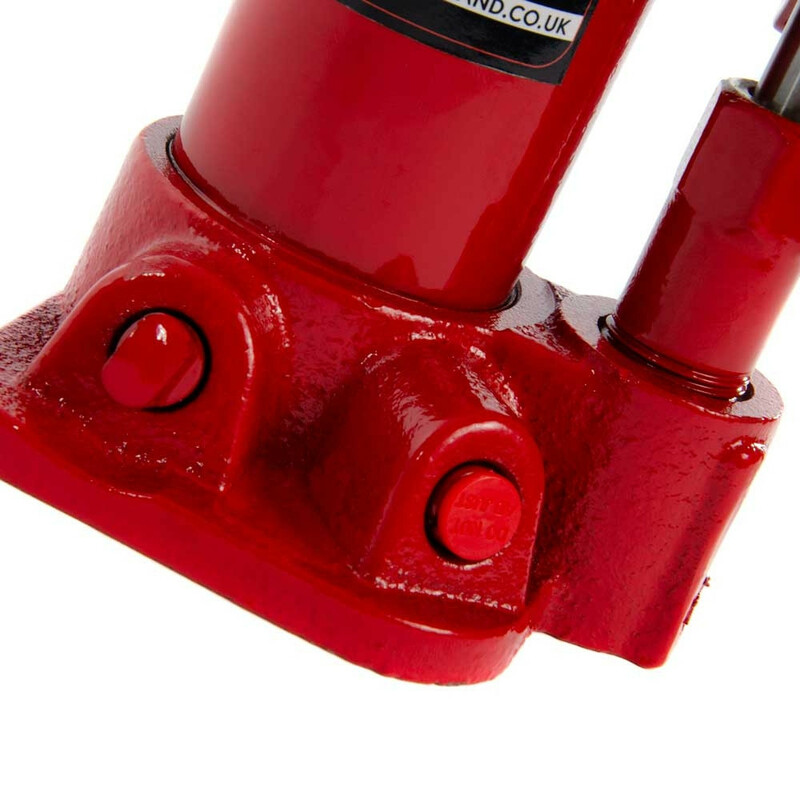 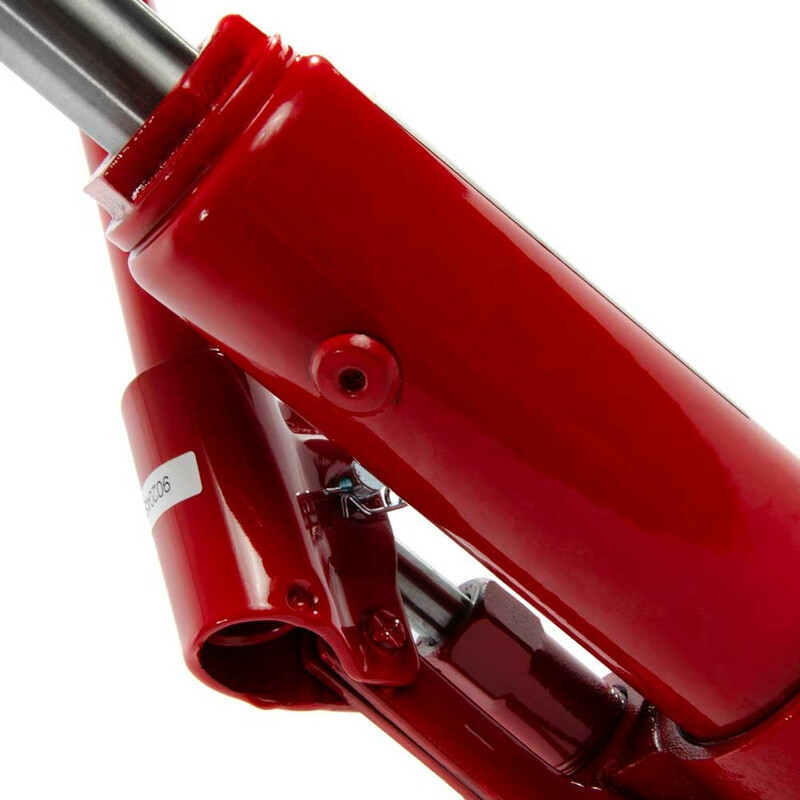 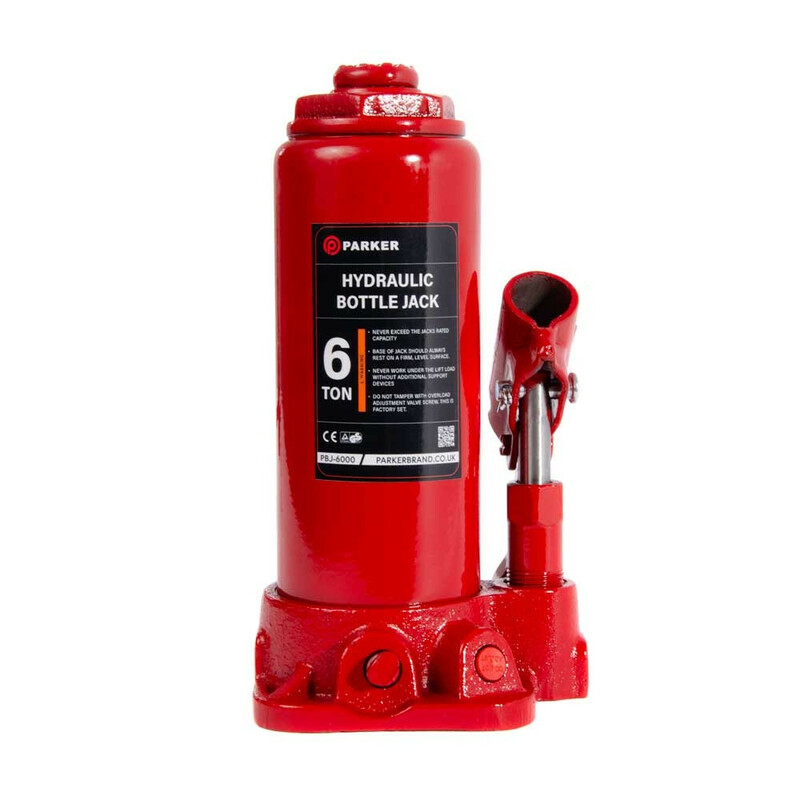 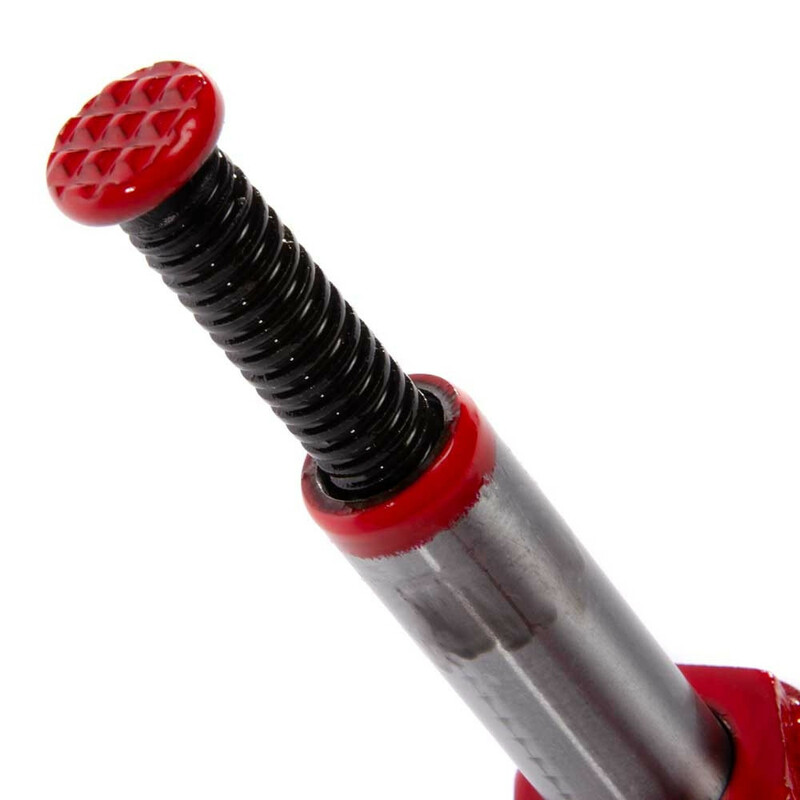 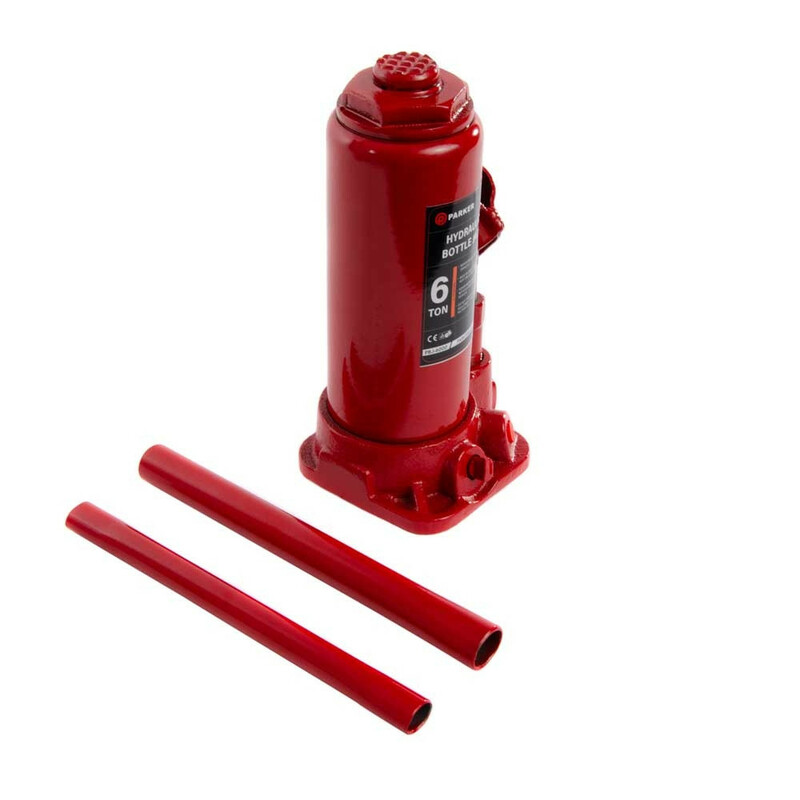 Complete with a moulded carry case and finished in familiar ParkerBrand red these hydraulic bottle jacks do the trick reliably and safely, every time. 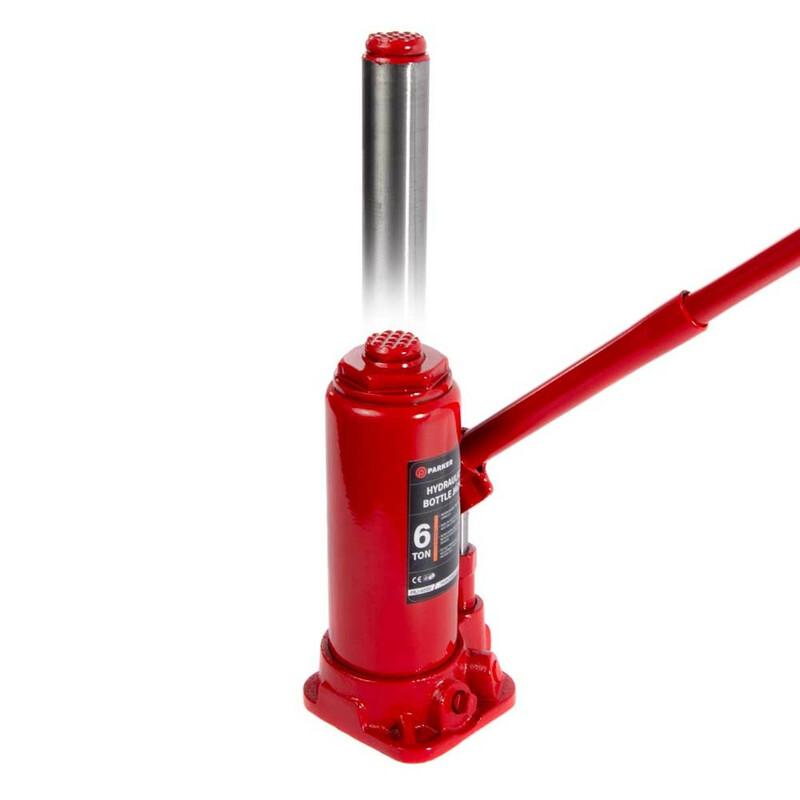 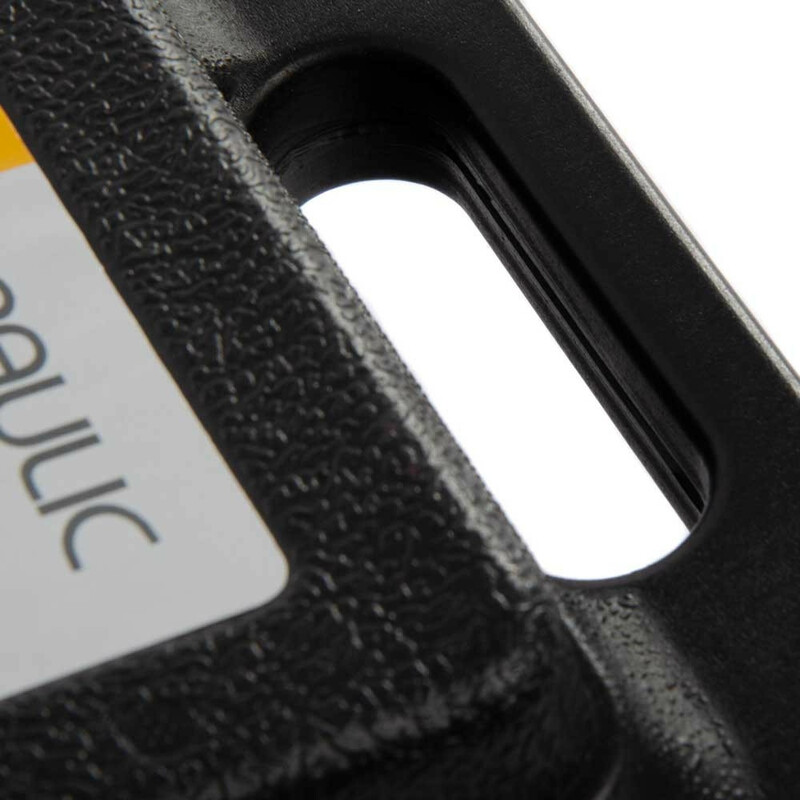 The easy to fit jack handle is two-piece for easy compact storage. 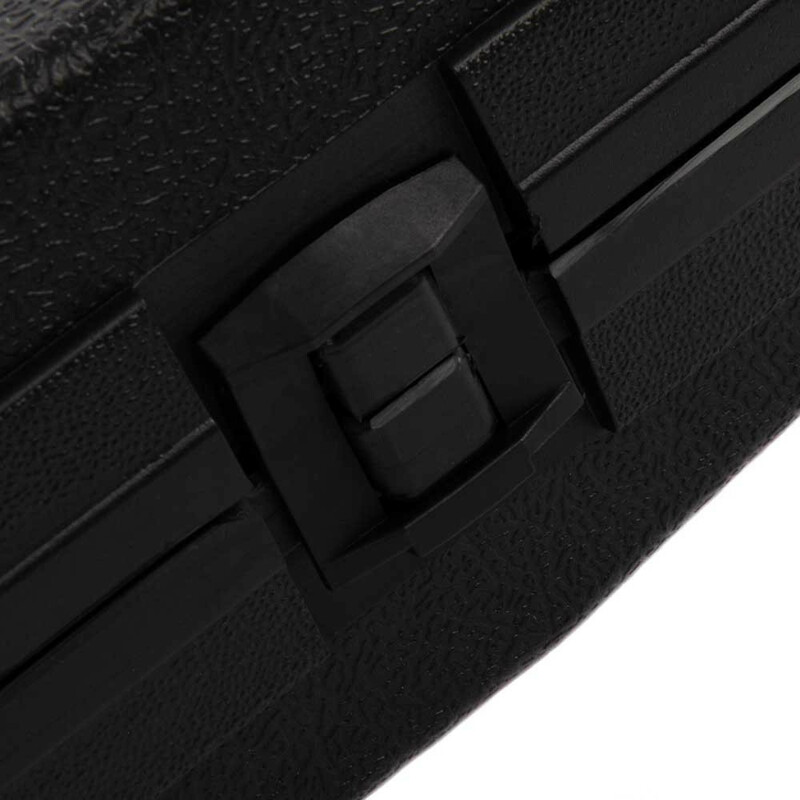 That’s us – ParkerBrand raising the game at every turn.